One of the photos of my 31st Birthday this 2006. I am in the light blue shirt and along with me is Sanju. 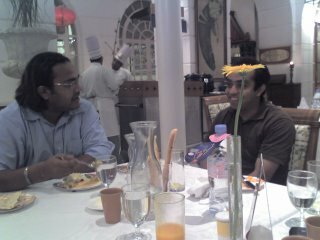 We went to Windsor Sheraton in Bangalore for a buffet dinner along with my wife her bro and couple of common friends.